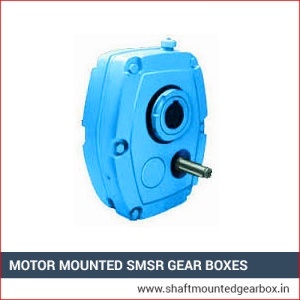 We are the leading manufacturer and supplier of Motor Mounted SMSR Gear Boxes that are made with high grade materials and components in compliance to the industrial standards employing the most modern technology. They are quality tested to confirm their flawlessness. 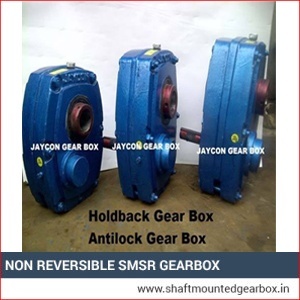 These gear boxes have an ideal characteristic of mounting of motor over the gearbox so that there is no requirement of additional foundation for the motor. These products are the best way of reducing speed by means of the direct mounting over the driven shaft of the machinery. They are specifically designed to amend the any position requirements. Also there is no requirement of coupling as well as layout problems can be easily eradicated. 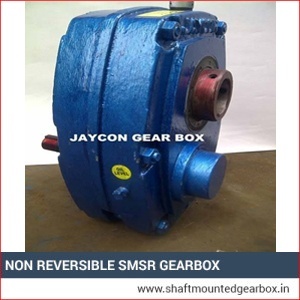 These also offer ideal as well as long-lasting alignment of gearbox so as to let convenient positioning of the motor and Conveyor Gearbox. We offer our products at market leading price rates.